Behind Closed Doors is a ground-breaking exploration of executive coaching, based on a wide range of real-life case studies of coaching in action. Despite the significant growth of executive coaching over the last 20 years, very few case studies are available which can be used to guide practicing coaches – and those who retain their services – and which reveal the reality of coaching in action. Yet when the curtain is pulled back, we can learn much about the impact of different interventions and different styles; where change happens for the better and where potential pitfalls may occur. Written by skilled and experienced practitioners, and showing what happens ‘inside’ coaching relationships this book provides just such guidance. 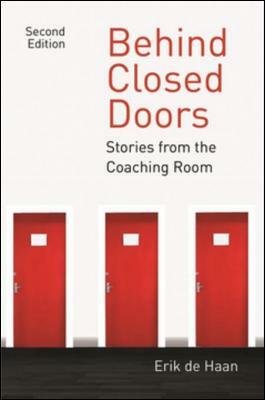 Behind Closed Doors provides a unique view into a coach’s highly personal practice, and offers transformational insights into the coach’s reflections and experiences, into the evolving relationships between coach and coachee, and into the effects and outcomes for clients. The book shows executive coaches how they can dramatically increase the value they bring to organisations and individuals alike by creating better, deeper client relationships. It shows how practising executive coaches can be more effective in building the relationship with their clients, in reviewing this relationship and in achieving more meaningful and significant coaching outcomes. Behind Closed Doors builds on the thought leadership of the Ashridge Centre for Coaching and is essential reading for practising experienced coaches (internal and external), purchasers of coaching and HR professionals generally, and participants on Masters and Doctoral programmes in Coaching. 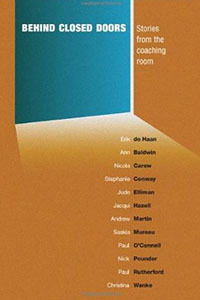 The contents include · an introduction into executive coaching as phenomenological inquiry in relationship; · inquiring into being with the client and the relationship; · inquiring into the evolving coaching relationship, · inquiring into specific challenges in the coaching relationship · an exploration into developing our capacity to be affected in relationship.